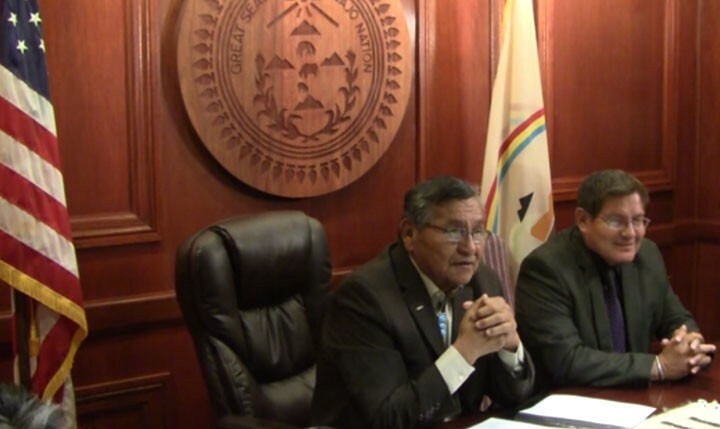 WASHINGTON – The federal government will pay the Navajo Nation $554 million to settle the tribe’s eight-year-old lawsuit claiming that the government mismanaged royalties on tribal mineral resource contracts for decades. The settlement, scheduled to be signed Friday in a ceremony in Window Rock, calls for the largest government payout ever to an individual tribe. Navajo Nation President Ben Shelly said in an emailed statement that the deal is “a victory for tribal sovereignty.” Administration officials, meanwhile, cited it as further proof of President Barack Obama’s efforts to honor relationships between U.S. and tribal governments. The tribe sued in 2006, charging that the federal government had mishandled royalties since at least 1946 from oil, gas, coal, uranium and other mineral leases it held in trust for the tribe. That lawsuit originally sought $900 million in damages as well as detailed reporting on tribal accounts. But in agreeing to the settlement deal in May, the Navajo Nation Council said continuing to press the suit presented “significant” risks. That agreement, signed in early June, gave the government 120 days to pay up. There are no restrictions on how the money can be spent. Shelly’s statement said the tribe would host town hall meetings across the Nation to decide how to best utilize and invest the funds. Under the deal, neither the government nor the Navajo Nation admits any liability or wrongdoing and both agree to ask the court to dismiss the lawsuit. 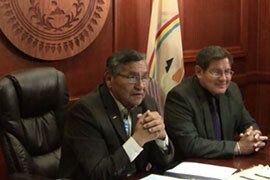 The tribe agrees it will not sue the government for trust-related harms that occurred before the settlement was reached. But the settlement preserves the tribe’s right to pursue water-rights claims and to pursue relief for environmental or health impacts from historical uranium mining on or near the Navajo reservation. The settlement also does not diminish the tribe’s hunting, fishing, trapping and gathering rights, among other provisions. Officials from the departments of Justice and Interior and the Bureau of Indian Affairs are scheduled to be on hand Friday to sign the agreement. “This settlement is yet another example of the administration’s promise to strengthen the ties between the United States and the Navajo Nation,” said Acting Assistant Attorney General Sam Hirsch in an email. Rep. Ann Kirkpatrick, D-Flagstaff, whose district includes the Arizona portion of the Navajo Nation said in an email she was pleased by the settlement.